ELFI Review: Is It Good? Struggling to repay your student loans? ELFI offers lower interest rates and reduced monthly payments. But is this refinance program right for you? ELFI, or Education Loan Finance, is a loan refinance program. It allows borrowers to combine multiple federal and private student loans into one single loan with lowered interest rates. The program is available in all 50 states plus Washington D.C. and Puerto Rico. Parent PLUS and private loans are not typically included in student loan consolidation and refinancing programs. With ELFI, if your child qualifies, responsibility for the Parent's PLUS loan will transfer to the student. ELFI is offered through SouthEast Bank, a regional bank headquartered in Tennessee. SouthEast Bank has 18 years in the student loan refinancing industry. Their holding company, Educational Service of America Inc, has been in the industry since 1988. MOHELA services ELFI loans on behalf of SouthEast Bank. MOHELA has over 30 years' experience in the student loan servicing industry. What is the difference between a student loan provider and a servicer? The provider creates (originates) the loan and holds the title. But the provider may not be the original lender since most student loans are sold to secondary markets. The secondary market then becomes the provider. Servicers do not hold financial title to the loans. Instead, these companies provide administrative and financial maintenance of student loans. How does ELFI refinance compare to federal and private refinance and options? Read on! Education Loan Finance also offers a consolidation option for federal loans only. Consolidation is designed to reorganize your student loan debts into one payment for a set amount of time (up to 30 years). When a borrower consolidates their federal loans into a federal Direct Consolidation Loan, the interest rate is determined from a weighted average of the original loan's rates. This may reduce the cost of your monthly payments. But it won't save you money. Without the lower interest rate, as in an ELFI refinance, the debt will cost you more over the life of the loan. Lower interest rates are one of the ELFI's top advantages compared to refinancing. ELFI's variable interest rates for a 60-month repayment period start out at 2.8%, as of February 2019. Their fixed-rate loans for a 60-month repayment period start out at 3.39%. Compare this to SoFi, a leading student loan refinancing provider, which offers competitive refinance rates starting out at 2.54% variable and fixed interest rates at 3.89%. So what's the difference between a variable and fixed interest rate? These may change as the market does. If that happens, your monthly payment will be recalculated and may increase. On the other hand, if your interest rate decreases, repayment of the loan could cost you less over the life of the loan. ELFI has a variable rate cap, so borrowers with variable loan rates will never see their rate exceed 9.9% APR (Annual Percentage Rate). The rate will also not increase more than once every three months. APR reflects interest rates and fees charged by the lender. Since Education Loan Finance does not charge origination or other finance fees, the APR and interest rate will be the same. Late fees are charged when payment is made 10 days or more beyond the due date. Locks in at the same rate through the life of your loan despite fluctuations in the market. That means your monthly payment remains the same until the loan is paid in full. Remember: Interest rates can make a huge difference in what is paid over the life of a student loan. The lower interest rate means a savings of $27.40 per month and $1,408.01 over the life of the loan. Keep reading to see if you qualify for ELFI. Have student loan debt that totals to $15,000 or more. Graduate from an approved education institution with a bachelor's degree or higher. Have a debt-to-income ratio that reflects your ability to pay back the loan. ELFI also requires a "Good" credit score. As a guideline, Education Loan Finance states that consumers in the 740-799 credit score range have very good credit, while a score of 800 or higher is considered exceptional. Consider an income-based repayment options if you don't qualify for ELFI. Graduation is not mandatory for approval and repayment is based on your discretionary income. The maximum amount that can be refinanced varies based on eligibility, which includes your credit score, income, and debt-to-income ratio. If you do not qualify for ELFI based on your own credit score, income, or debt-to-income ratio, Education Loan Finance may require a co-signer. This is a person with a stronger credit history who agrees to pay the back the loan if you default on payments. In other words, it's a person who will share responsibility for your loan. With student loans, a co-signer is usually a parent or relative. ELFI offers a Co-signer Release Option that allows the primary loan holder to remove a co-signer if your credit improves (and you are approved). Learn the benefits and drawbacks of ELFI student loan refinancing before you apply. Take advantage of ELIF's referral program. You'll earn $400 cash if a friend successfully registers. And they'll get a $100 bonus as a reduction to the principal balance of their loan. ELFI's 5-, 7-, 10-, 15- and 20-year options are more flexible than the choices private lenders usually offer. A larger monthly payment with a lower interest rate means less total cost to you over the life of the loan. If you choose a longer term to reduce the monthly payment amount, you will pay more over the life of the loan due to the higher interest rate. Education Loan Finance's loans are considered student loans for tax purposes. That means you'll retain your student loan tax deductions. Certain restrictions may apply, however, so contact a tax professional for more information. By releasing the co-signer, your credit score and your co-signer's credit rating improves. Education Loan Finance offer an economic hardship forbearance for circumstances like a financial or medical difficulty. Forbearance must be approved by the lender, SouthEast Bank, and lasts up to 12. You can pay an additional monthly amount without incurring any penalty. Create an Education Loan Finance login account and apply for refinance in one online location. Once your ELFI loan is processed, MOHELA, the loan servicer, will reach out so you can set an online account and 24-hour access to your account information. Keep reading to see why ELFI might not be right for you. If you have less-than-stellar credit, as many students do, you may need to find a co-signer to be eligible. Education Loan Finance only approves borrower payments made through an electronic payment or transfer. If you prefer to pay by mailing in checks, this isn't the loan for you. You'll need at least $15,000 in qualified student loan debt. 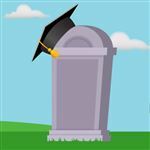 You will lose access to federal student loan benefits like low-income repayment plans and forgiveness programs, deferments, and forbearances with ELFI loans. If you think you might need these perks in the future, it might be best for you to keep your loans with the federal government. If you are in the 6-month grace period with your federal student loans, wait until it expires to apply for ELFI. Repayment with ELFI will start 30-45 days from the date your loan is refinanced, which may shorten that grace period. Instead, create a login account at Education Loan Finance and reach out to an application specialist. They can help you determine the optimal timing for your ELFI application. You'll also need a copy of your most recent student loan billing statement. The statement must show the total remaining amount due as a specific date and should not be more than 30 days old. If your most recent statement does not show the total remaining amount due as a specific date, for example, $5,111 total payoff if paid on 5/1/2019, ask your lender or current servicer for a payoff statement. Ready to apply? Keep reading to learn how. Create an account and begin your online application for ELFI here. The initial application is considered a prequalification request and a soft credit inquiry is pulled at this time. A soft credit inquiry does not affect your credit score. Once you've applied and received prequalification, Education Loan Finance will provide you with preliminary interest rates and repayment terms that you qualify for. Once you accept a loan product, Education Loan Finance may request additional documents from you. You will supply the requested documents through uploads. Your loan application then goes through an underwriter review, which includes a hard credit inquiry. Hard credit inquiries decrease your credit score by an average of 5 points, which will remain on your credit report for 12 months. Why pay more for your student loans than you have to? 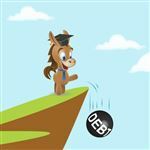 ELFI offers ways to reduce your interest rate, which can help you get out from under student loan debt sooner. Consider whether ELFI is right for you before you apply. Learn how to get out of student loan debt. Sign up to get free email newsletter. Repaying student loans can really cramp your budget. But you do have options. Learn the types of loans, how to find what you owe, and your repayment options below. Leave a comment about ELFI Review: Is It Good? Ethos offers term life insurance at prices lower than traditional agencies. It's done completely online in just minutes. But what's the catch? Read on for the review. Learn smart ways to get rid of student loan debt. 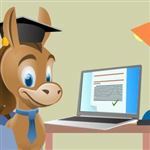 CreditDonkey is a student loan comparison website. We publish data-driven analysis to help you save money & make savvy decisions.